Since it's totally pre-occupied with its latest rover roaming the surface of Mars, we figured we'd give NASA a hand, specifically when it comes to restocking its gift shop. Unfortunately, South Korean designer Jeongmi Lee's lovely space-themed Spacionery office accessories don't exist yet. But NASA put a man on the moon and a robot on Mars—it can certainly make this happen. 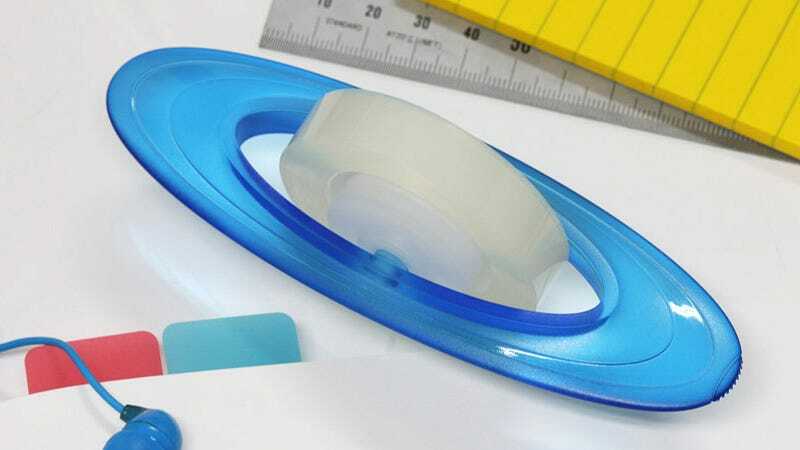 The Saturn tape dispenser is the more clever of the two designs, with its famous rings recreated in translucent blue plastic orbiting the roll of tape in the middle. But that doesn't mean the Abandoned Planet pen holder isn't fantastic in its own right. With gashes across the rubber planet's surface designed to hold your zero gravity pen, or pencil if you're in Russia. Now where's our Uranus pencil sharpener?—no, wait, that would be awful.